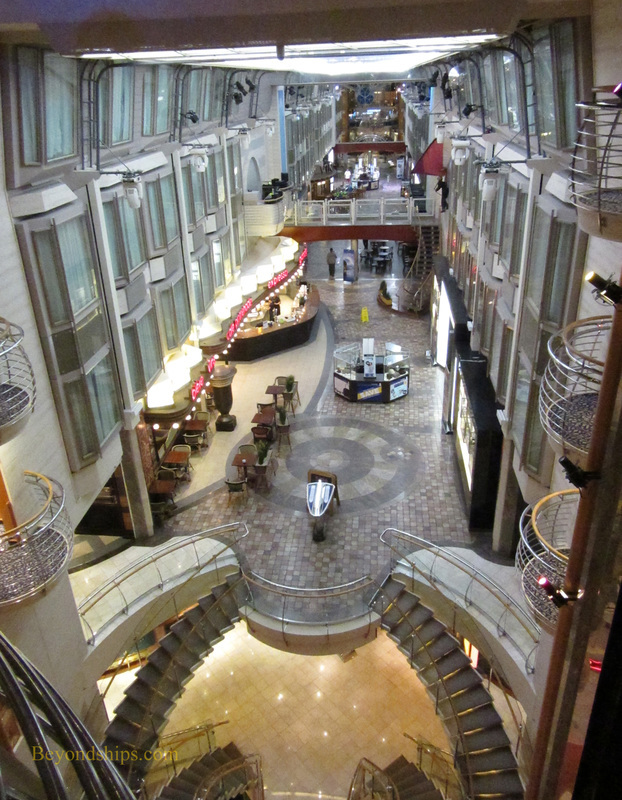 ​Below: Looking don the Centrum..
Explorer of the Seas and Adventure of the Seas). She was the first ship in the second generation of Voyagers, slightly larger than her predecessors. 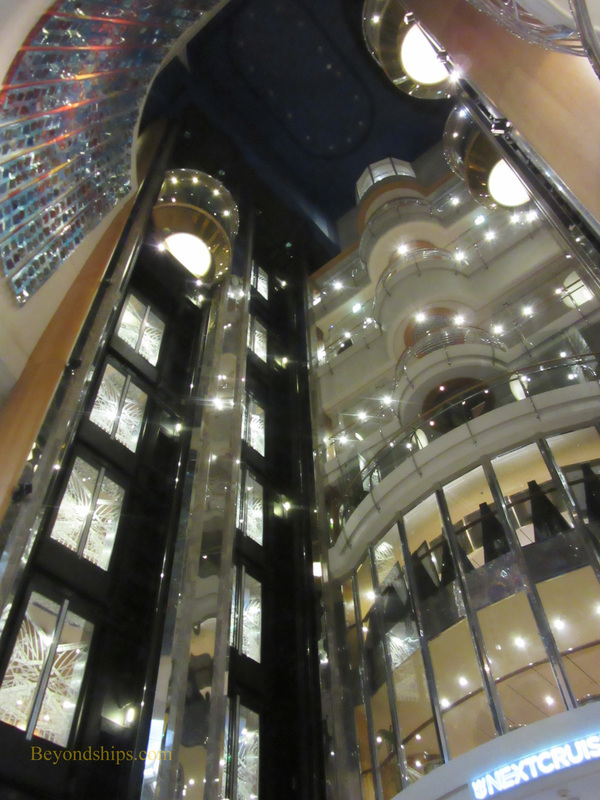 The most visually apparent difference being that the glass balconies on the second generation stick out from the sides of the ship whereas the balconies on the first generation are flush. 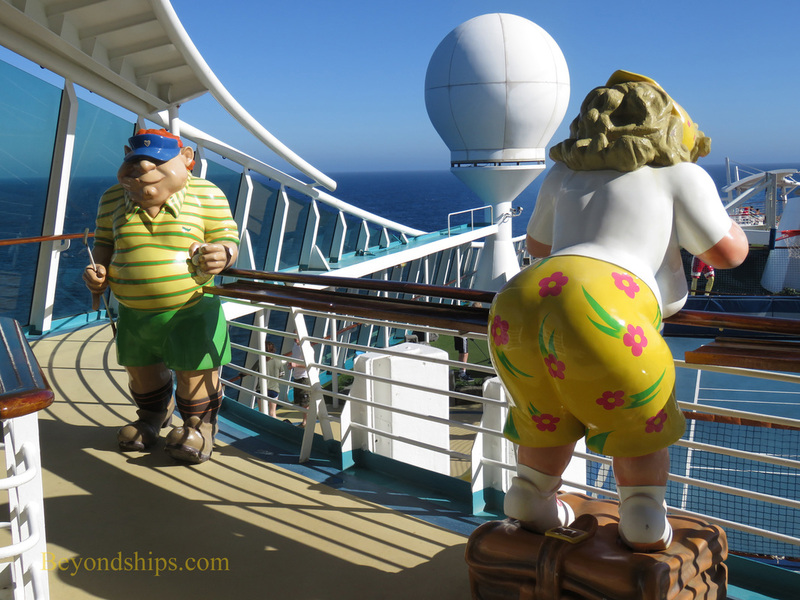 These ships are similar in many respects to Royal Caribbean's Freedom class ships (Freedom of the Seas, Liberty of the Seas and Independence of the Seas), which is not surprising as the Freedom class is essentially a lengthened version of the Voyager class. Navigator is a large ship. At one time, she was the world's largest cruise ship. Although she is no longer in the top 10, Navigator is still quite big. 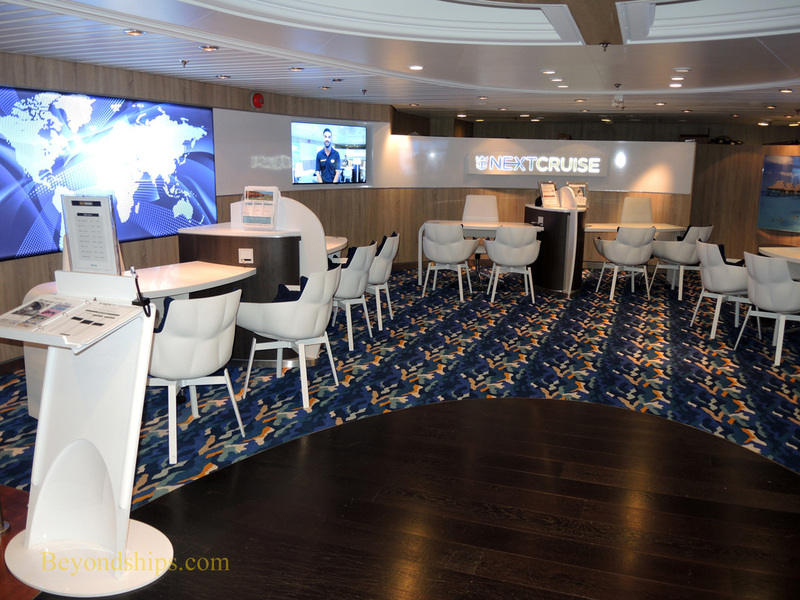 Because she is large, she can offer a substantial array of options with regard to entertainment and dining - - not as many as an Oasis class ship but still more than most cruise ships. The emphasis here is on physical activity and good times. She has a rock climbing wall and a surfing simulator as well as the more traditional pools and sports facilities. Theme parties pack the Royal Promenade with people. When the ship is at sea, there is always something happening. However, enrichment programming is not high on the agenda. 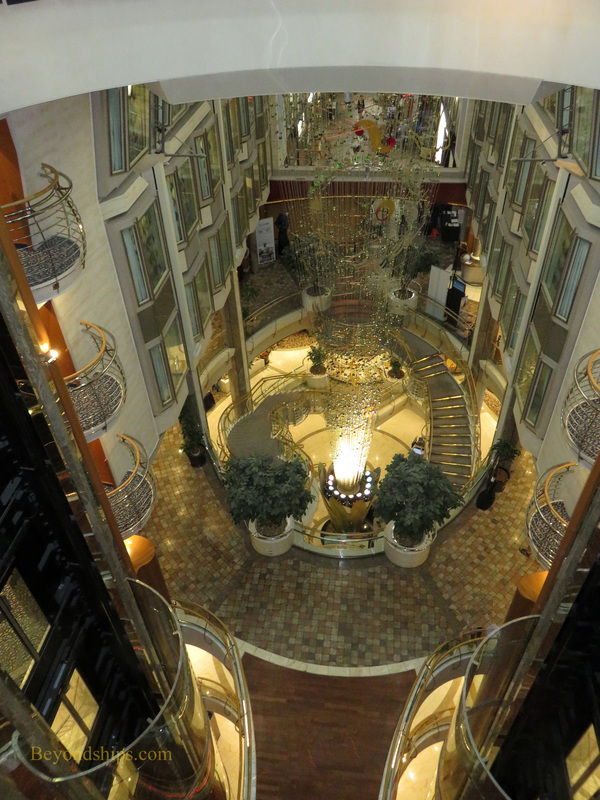 With décor, Navigator reaches for the spectacular. While the decoration has been toned down over the years, most of the public areas still have a Las Vegas look. 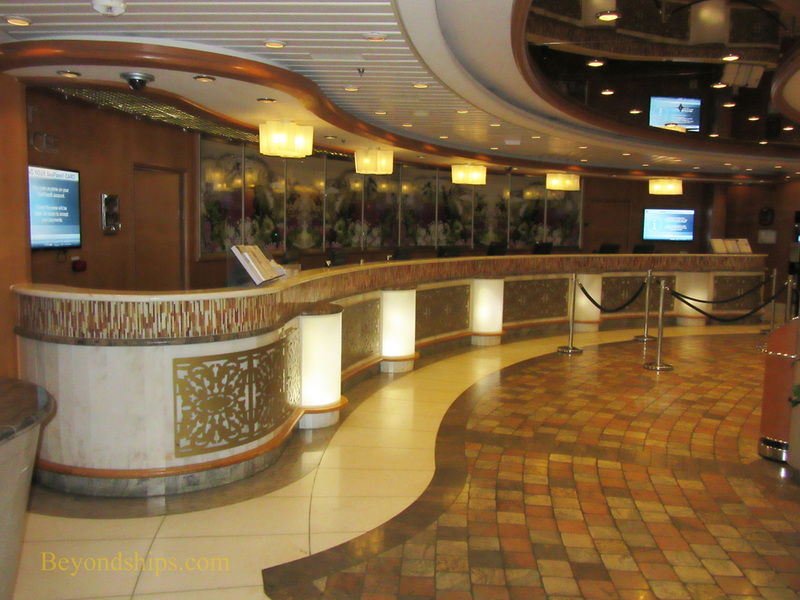 It is not as serious as Royal Caribbean's Quantum and Radiance class ships. 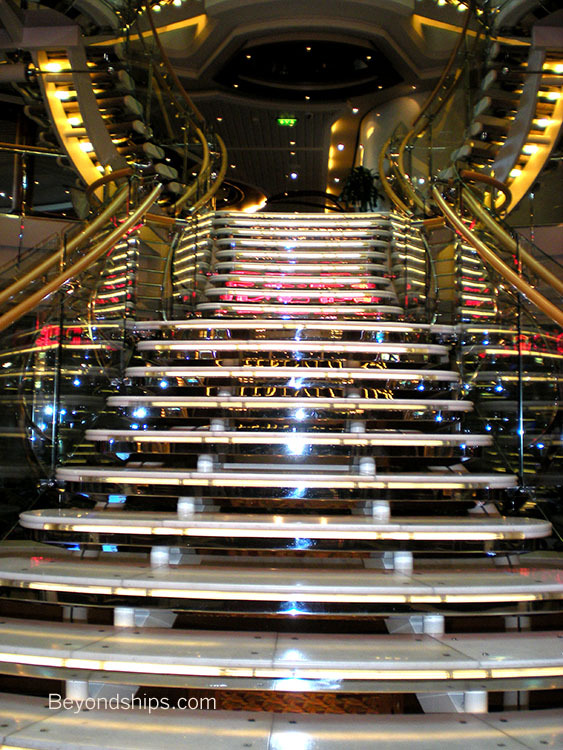 The décor and the placement of the public rooms in Navigator is similar to, but not identical to, her Voyager class sisters. Navigator is a family friendly ship. Accordingly, a substantial area is devoted to children's facilities and the ship offers supervised programming for children from babies to teenagers. Because she is family-friendly and because of the emphasis on light-hearted fun, Navigator tends to attract younger passengers, especially during the summer months. However, there are also substantial numbers of retired couples. The mix of nationalities changes with where the ship is based. To illustrate, British passengers dominate when the ship is based in Southampton whereas North American passengers dominate when she is sailing the Caribbean. When they were designed, the Voyager class ships were envisioned as never leaving the clam waters of the Caribbean. As a result, they are not fast ocean greyhounds and do not purport to be ocean liners. However, they turned out to be good sea ships and so Voyager ships have now sailed in Europe, Asia and Alaska as well as the Caribbean. 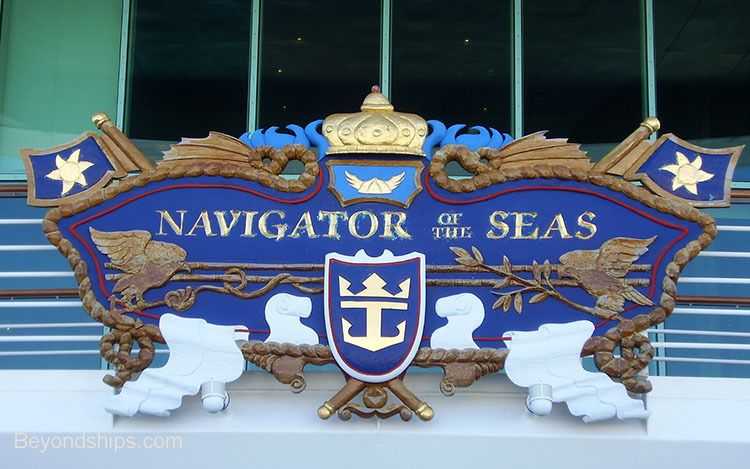 A bit of trivia about Navigator is that she was originally going to be called Journey of the Seas. However, the plan changed when she was under construction. 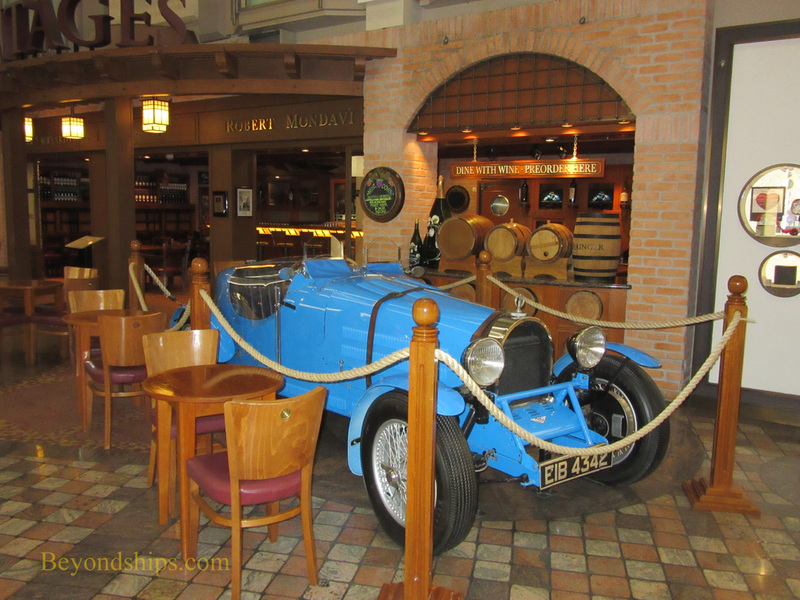 Above: A feature of all the Royal Caribbean ships that have a Royal Promenade is a replica of a classic car or motorcycle. 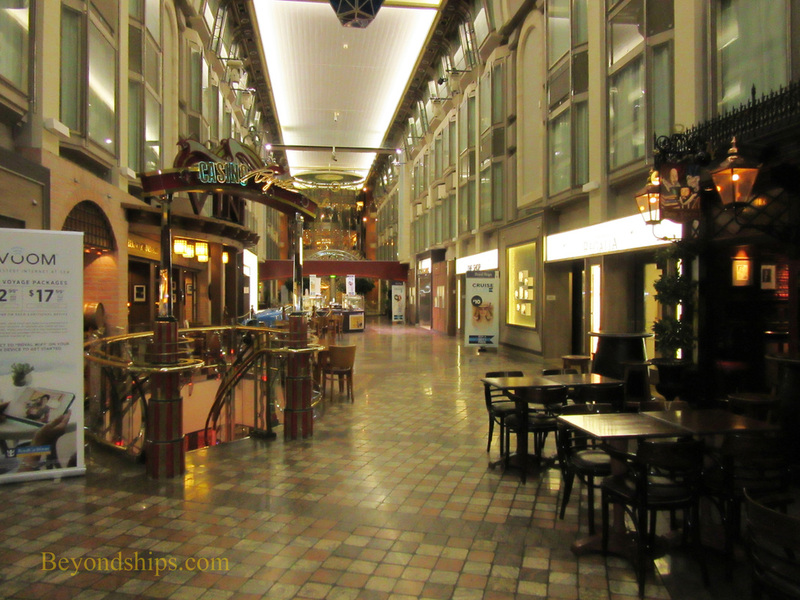 The Royal Promenade is like a city street or pedestrian mall running down the centerline of the ship. It has shops, bars and eateries. 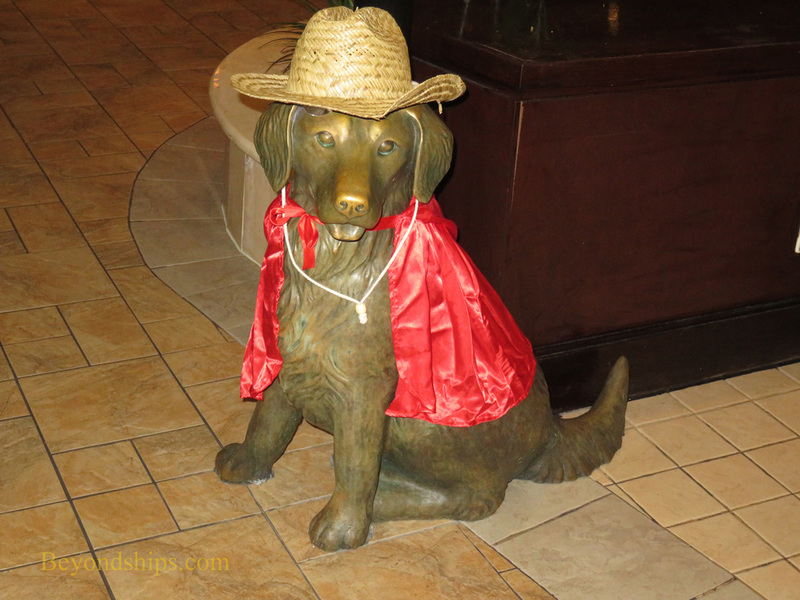 But it is also an entertainment venue used for parades and theme parties. 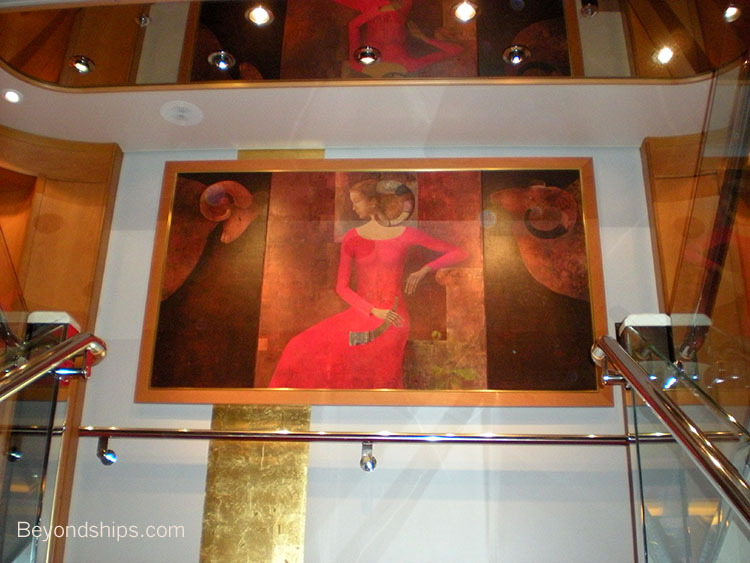 In short, it is the centerpiece of the ship. 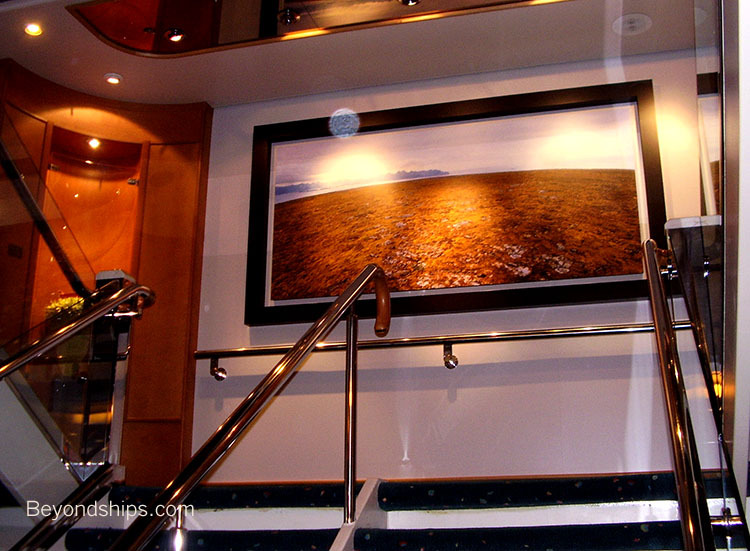 ​Navigator has an eclectic art collection. Most of the works are modern or contemporary. They are often whimsical reflecting the light-hearted atmosphere. However, there are serious works as well. 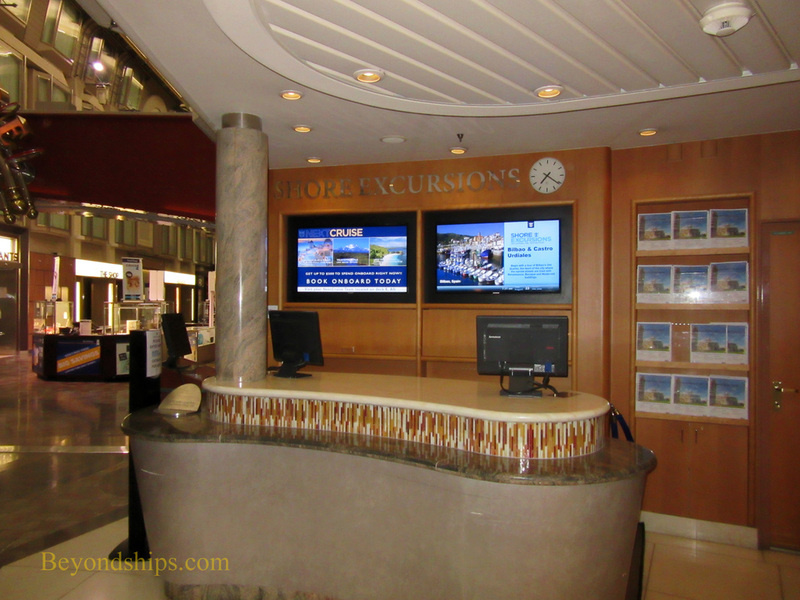 Above right: The shore excursions desk is next to Guest Relations. 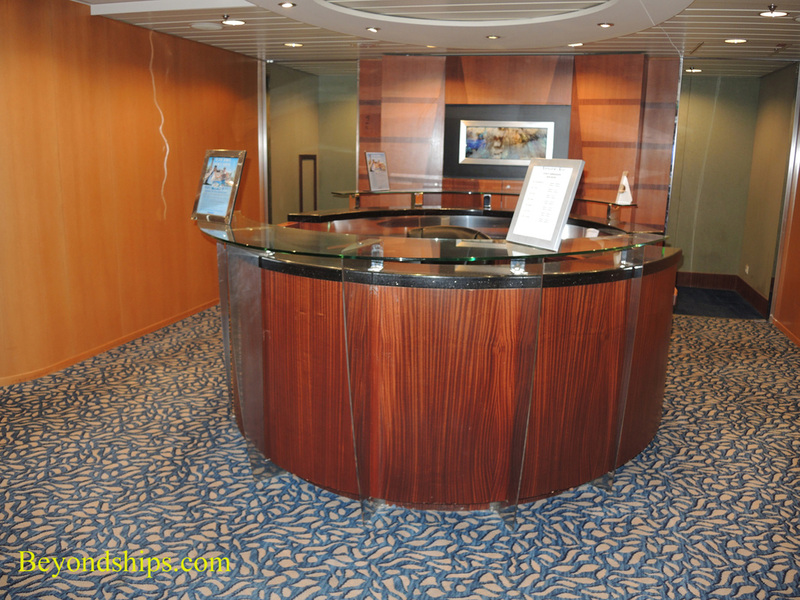 Right: The Next Cruise Office sells future Royal Caribbean and Celebrity cruises.